Since concrete is such a versatile material, more and more people are realizing its value in making countertops. Shapes of countertops are only limited by imagination and the ability to build the forms. 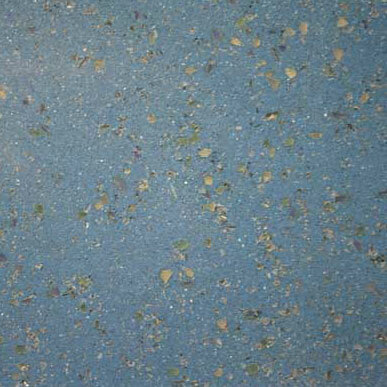 With the use of color pigments in combination with white cement and various aggregates, the spectrum of colors available in concrete countertops is virtually limitless. It’s been more than two decades since concrete countertops found their way into shops, restaurants, and homes. They seem to have gained acceptance in just about every level of residential application, from moderately priced homes to high-end places. 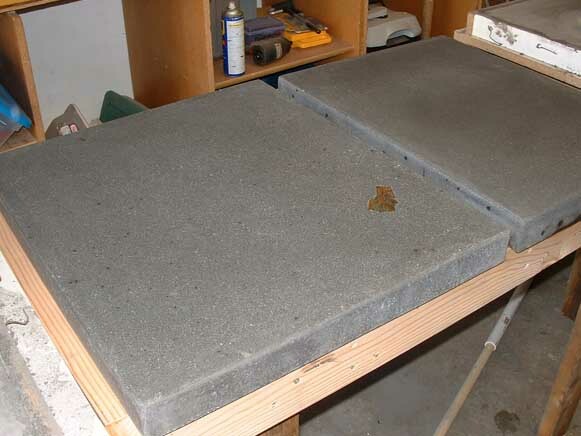 Nowadays, lots of people have a good feel for what can be accomplished with concrete countertops. Whether an interior is traditional, contemporary, or somewhere between, concrete is a versatile medium to express the aesthetic of designer and owner. It’s well known by now that concrete has become a material that homeowners and designers are requesting and weaving into their homes, offices, retail outlets, restaurants, etc., in the most amazing ways. You can’t walk past a concrete countertop and not want to reach out and touch them. 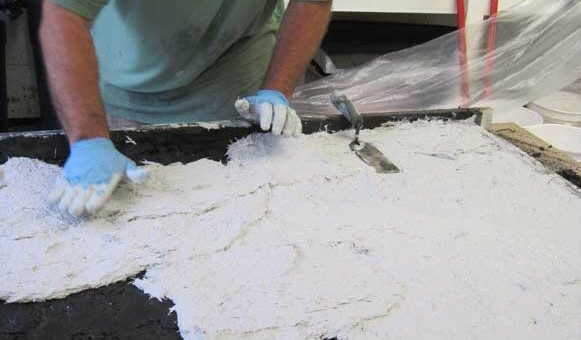 Few materials are as versatile as concrete. 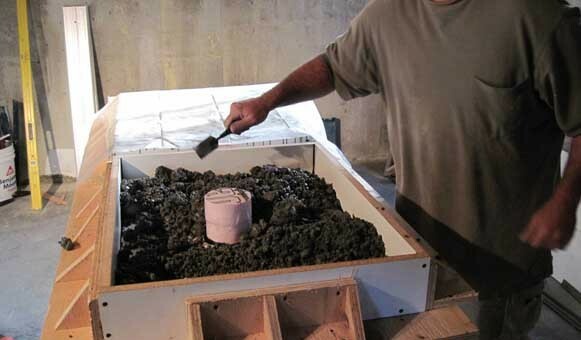 You can mold concrete into any shape, color it to match virtually any hue, and you can make it smooth or rough. It’s versatility lends to a range of design styles from contemporary to classic. Metal, glass, or other objects can be imbedded in the concrete to create fabulous effects. Concrete countertops can be left looking natural to complement materials like wood, stone, and brick. 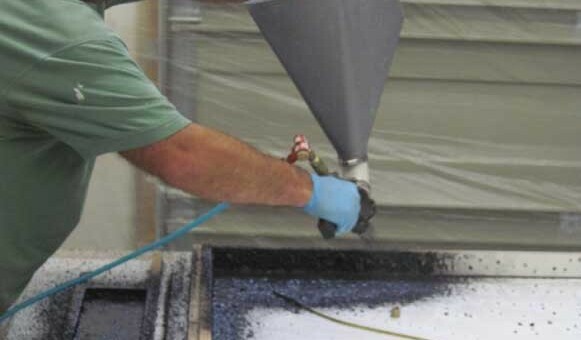 Or, concrete can be treated with chemical stains, coloring pigments, aggregates, and epoxy coatings that allow concrete to mimic popular materials like marble, granite and limestone. 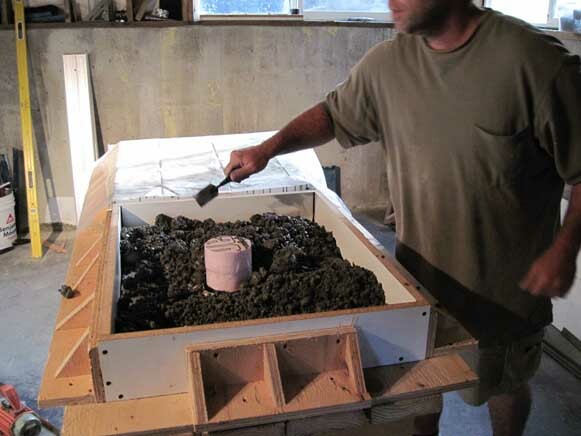 Other ideas for concrete: sinks, fountains, desk tops, bars, coffee tables, bathtubs and bath surrounds. What advantages do Concrete Countertops have over marble or granite? 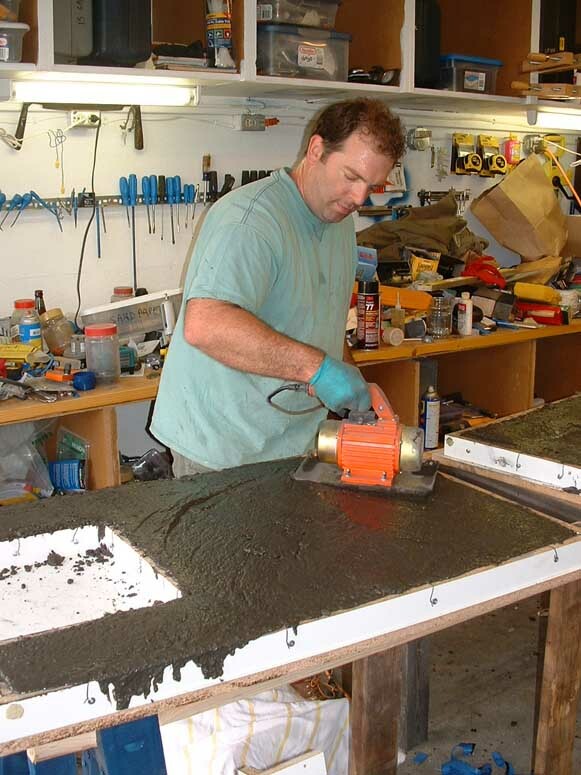 Concrete countertops can be customized, they are multi-dimensional, personable. Using inlays, integral sinks, built in drain boards, we create them to be uniquely yours. 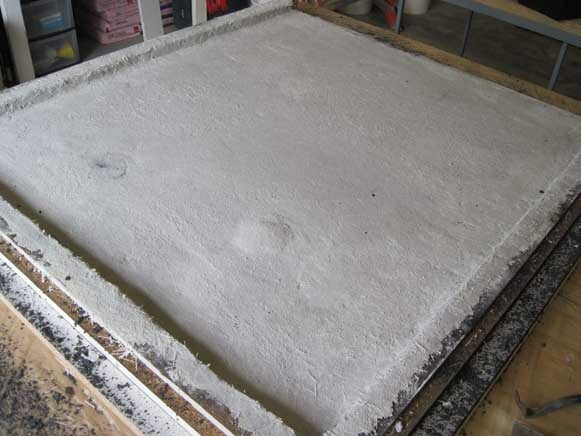 What do Concrete Countertops look like? Anything you want. 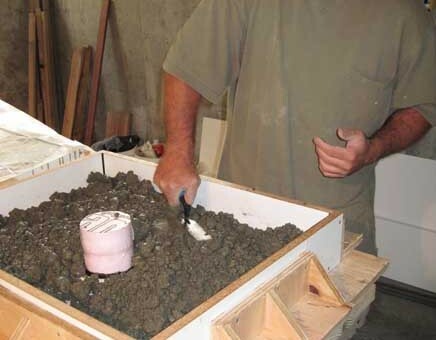 This is one of the best and worst things about concrete. Concrete is so versatile, such a moldable product, choosing the perfect look for you can be very overwhelming. We can make anything you want. Any color, any texture, any edge . . . the sky is the limit. The best thing to do is have an idea in mind, then let us take it from there. We will make you something that surpasses anything you ever expected. Concrete is most often chosen because of the infinite possibilities. For people who want something with the durability of other things on the market, but can’t find the color they want, the warm feel they want, or the seamless design that other products just can’t give them. 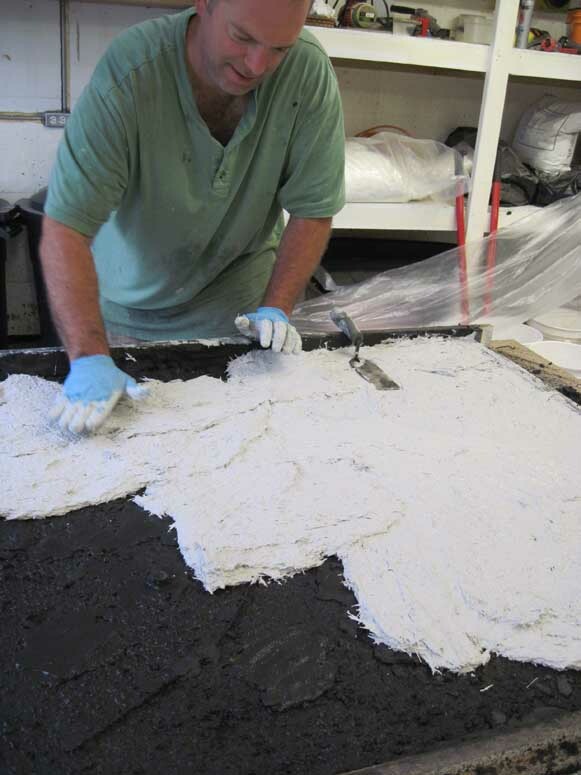 We are often used to picking the best tile or stone out of the very few samples we see on the wall of the stone shop. Concrete has no boundaries for design. It’s for the person looking for something unique and personalized with touchable, tactile character. These are handcrafted pieces and no two look the same. They are imbued with natural beauty, not plastic perfection. Name it. It’s wide open. A good starting point is to decide on the background color. That color is easily based on a paint sample color. Beyond that, we can offer an endless amount of suggestions and ideas. 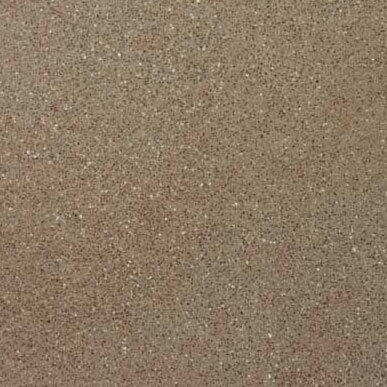 If you are looking for perfect, uniform color, then a solid surface countertop might be a better choice for you. How much color variation should I expect? 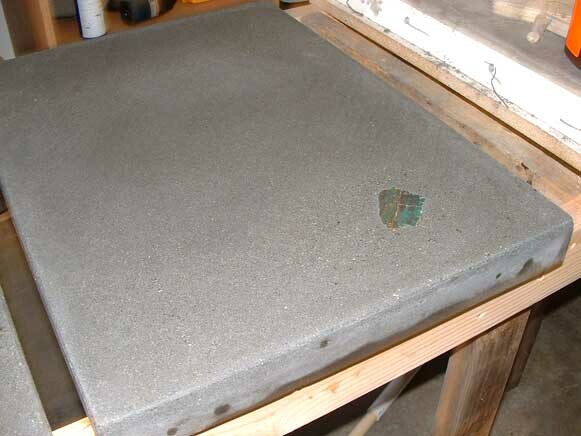 Color variations are to be expected from a natural, handmade product like concrete countertops. We can create a sample for a price. 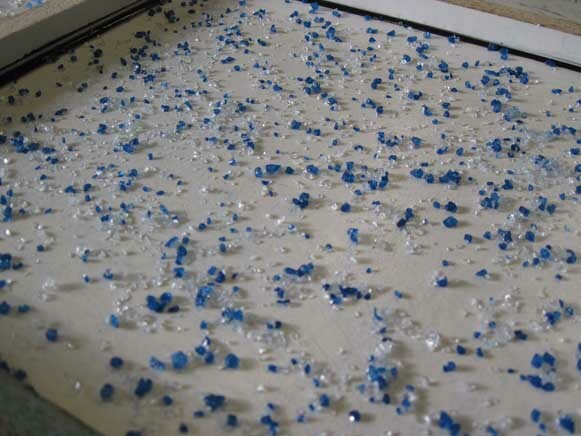 But the sample doesn't mean that is exactly what your countertops will end up like. 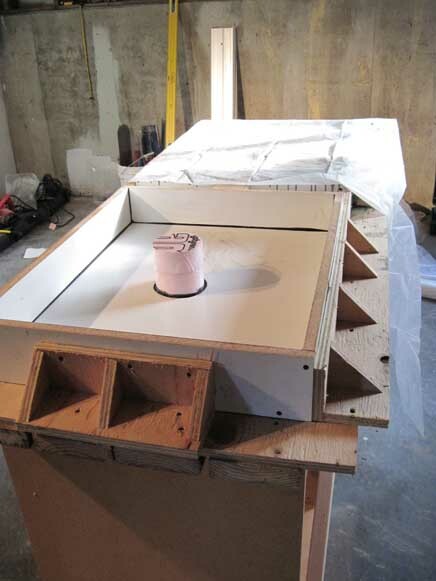 Concrete Countertops literally develop as the project goes on. Concrete is not like choosing a tile from a tile shop, it is handcrafted. 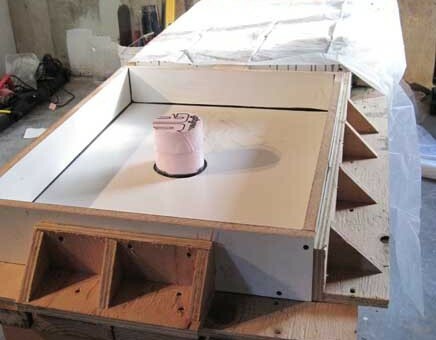 As the project develops, the Countertops begin to develop character. With each phase of coloring, grinding, and staining . . . the finished product will be unfolded. How do I know what I am going to get? Be involved in the project. Each project is personal and one of a kind. Whatever is done at your house or project will never be seen anywhere else. 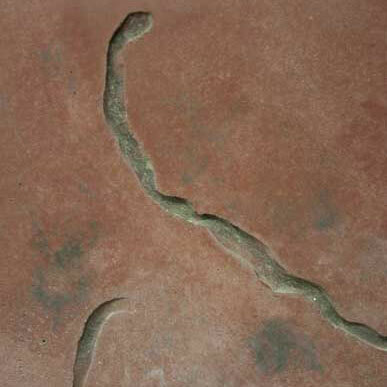 “Crack” conjures up images of the crack that is in their patio or driveway. If done correctly very small, nearly invisible, micro-cracks can develop . . . or even be made to develop. They are not structural or a failed countertop, they will not be big enough for food to fall into. They most often add to the warmth and earthen nature of the countertops themselves. They can. 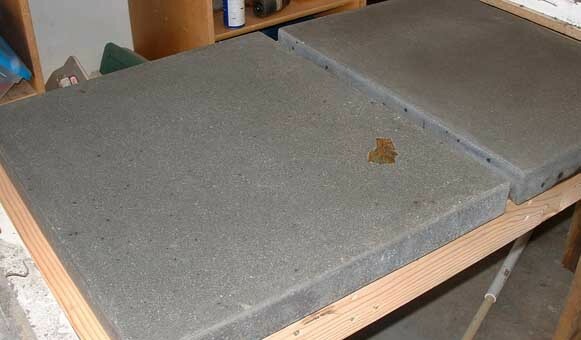 Concrete Countertops behave similarly to granite in this respect. 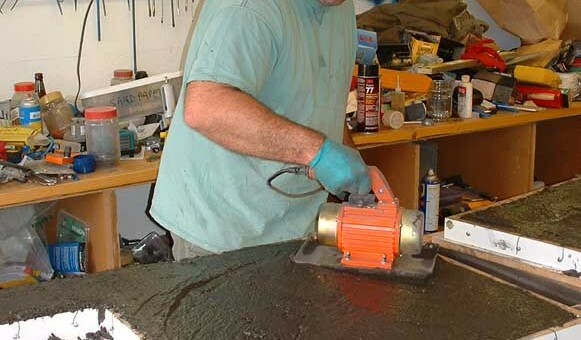 There are many ways of sealing Concrete Countertops and that’s what makes the difference. 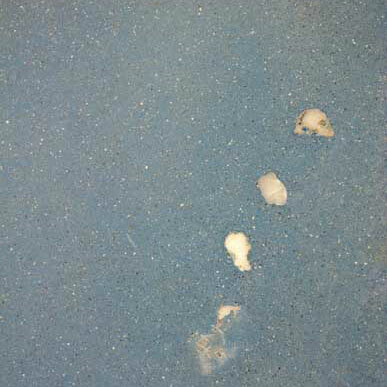 If done correctly a concrete countertop will handle just as much abuse as any other product choice. 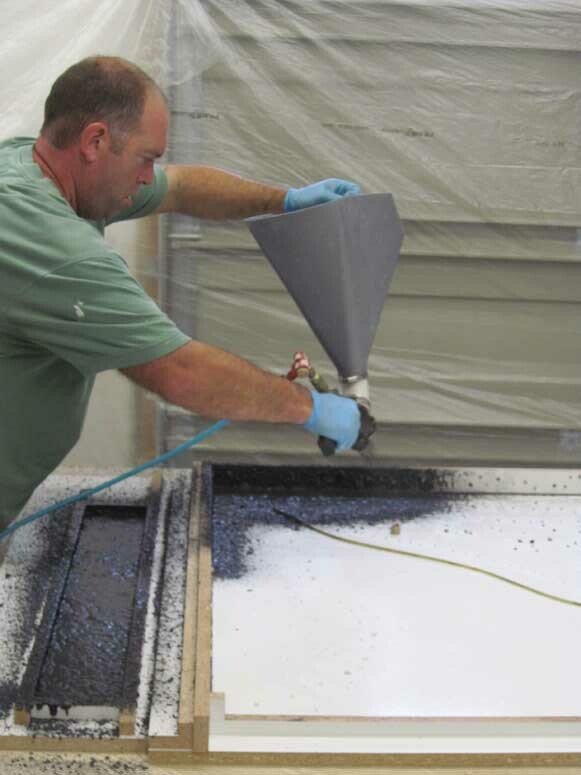 We use a process that uses two high performance sealers that harden and seal the surface. This provides a low maintenance stain resistant surface. Can I put hot things on the Countertops? Our Concrete Countertops are made to handle the normal abuse of normal families. Like most types of countertop, it’s not a good idea to put very hot pots or pans on them. 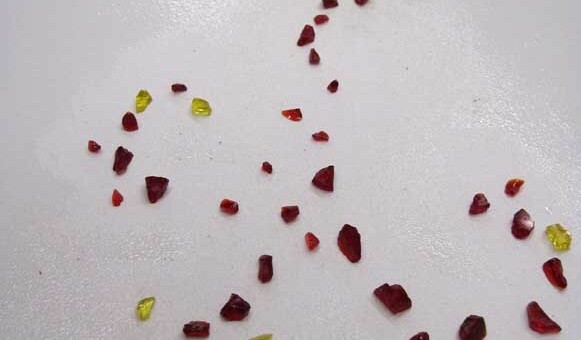 Can I cut things on my Countertops? Like most other countertop products, it’s not recommended. And, you will damage your knives. We don't advise using your countertops as a cutting board. Just as we don't advise putting hot pans on the countertops. 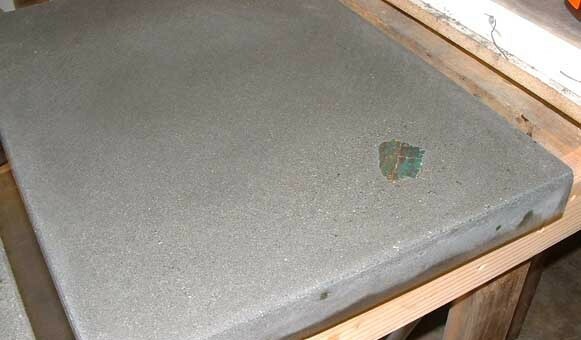 We make countertops that handle normal wear and tear of normal family use. But you always want to treat them well so that they last a lifetime. 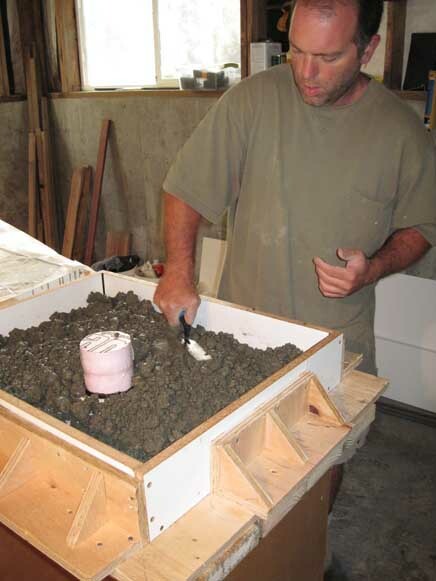 The standard thickness of a traditionally cast concrete countertop is 1½” thick. 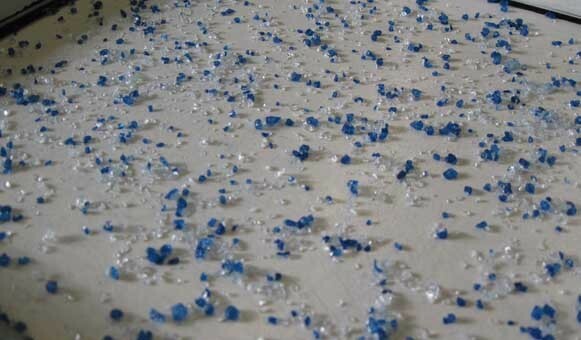 However, by using Glass Fiber Reinforcing (GFRC) techniques, counters can be created that are thinner than this, while appearing to be much thicker. 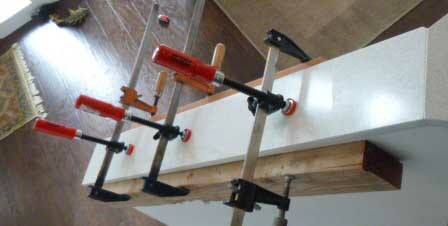 Seams range from 1/16 to 1/8” wide. This is because concrete countertops are handmade and not machine cut. Drop in, under-mount, vessel. Or, we can make integral sinks in almost any shape. Is there any special care instructions? Once everything is cured there are no real special instructions. Basically, if it's wet, wipe it up. This is just a normal rule that applies to any one caring for any countertop. You can’t expect any natural surface to last forever if you abuse it. That depends on the project. Cost has less to do with the size, and more to do with the complexity of the form. 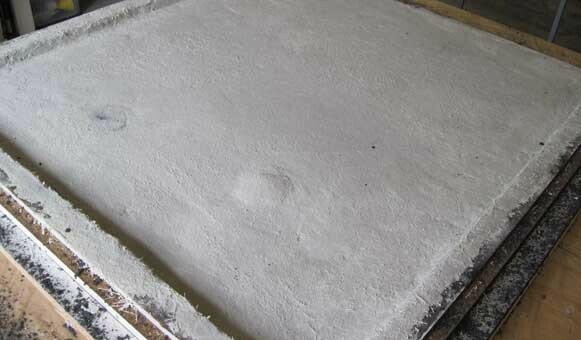 It is true that the main ingredients of a concrete countertop are fairly inexpensive. 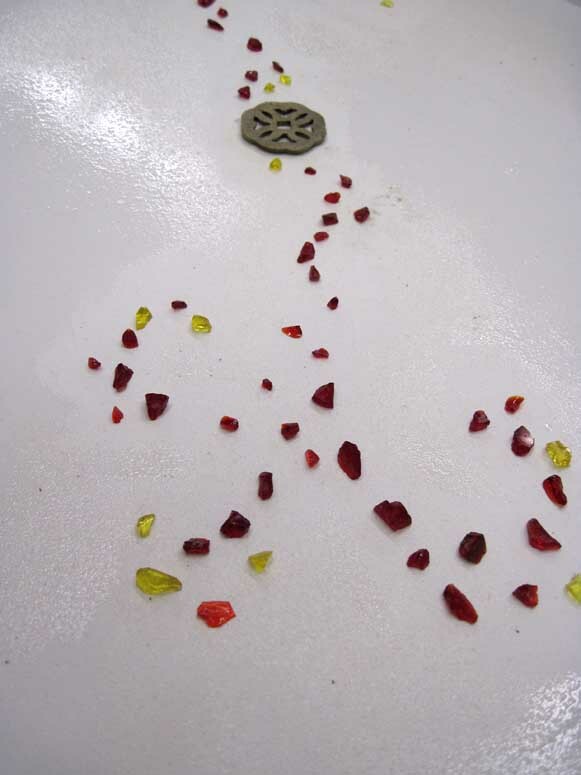 The cost of the finished product reflects the unique handcrafted nature of each piece. 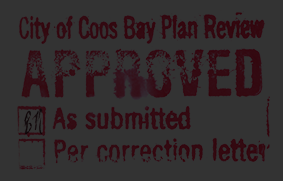 If you have any questions that are not covered here, please feel free to contact us.